Winner of 2018 Lower Bucks Chamber of Commerce Start-Up Award!! Indoor Cycling Reinvented, Yoga, Strength, Pilates, and Sculpt 'N Tone! Mat Pilates and Sculpt N Tone Classes also on the schedule! $125/Month gets you unlimited Cycling and Yoga! Purchase First Class for $15 and Get 2nd Class Free! SurroundCycle is a local, 100% female-owned small business in the heart of Newtown, PA. We are not a franchise or part of any big corporate entity. We strive to provide the ultimate in customer service in a friendly, welcoming environment. At the same time, we've taken the best the industry has to offer and built a world class indoor cycling, strength and yoga studio. It's the goal of our entire team to make every visit an enjoyable experience and a workout that exceeds your expectations. We do this by providing the best bikes available on the market, an insane concert-quality sound system, and a specially designed lighting program. All of this happens inside our uniquely designed sound-proof cycle room under the direction of our highly trained team of instructors. At the end of each ride we even clean your bikes for you! Aside from our regular classes, we also offer our studio for Groups & Private Parties with special pricing for brides, celebrations and training sessions for sports teams. 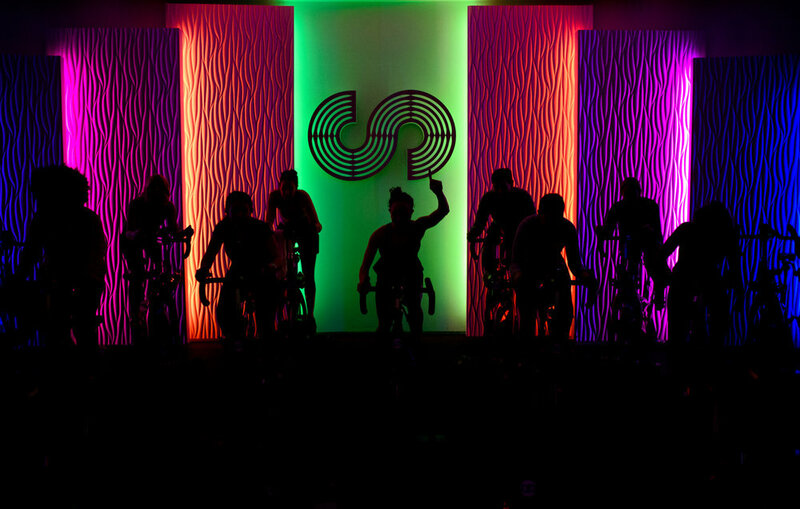 "Rhythm" classes are rides where you pedal to the beat of the music, rather than focusing on your performance metrics. These are still a challenging workout, without the focus of a big Leader Board in the room. "Power" classes are rides where you are focused on your real-time performance metrics which are displayed on Leader Boards in the room. Our Yoga Classes are designed to welcome yoga clients of all skill levels. Each class type is clearly outlined, ranging from Mixed Flow classes, extra stretching classes for runners and cyclists, and classes with meditation incorporated. Sculpt N Tone is a non-cardio 60 minute class using lighter handheld weights and bands to build strength and is a total body workout. Classes are either 45, 60 or 80 minutes in length. Most 45-minute class include an additional optional 15 minute post-ride session of stretching or upper body strengthening in the “Surround Fitness/Yoga Room” to further enhance the results of your ride.